Marvel Legacy will bring back one of Marvel Comics' fan-favorite superhero teams with their first in-universe comic book story in years. Power Pack #63 comes from the creative team of writer Devin Grayson and artist Marika Cresta, and Grayson is looking forward to examining what it is to be a child in a superhero universe. "Kids in comics age at funny rates and have to deal with all kinds of strange continuity issues, and I always wonder what that feels like for them as characters," Grayson said in an interview with ComicBook.com. "In this case, my goal for the readers is just to remind them how wonderful this team is and to confirm where everyone is at the moment. "But for the characters themselves, I wanted to look at the emotional consequence of living with that much disruption and uncertainty," Grayson continued. "As a one-shot, this story isn't in the position to answer a lot of questions, but I thought it was a good place to examine what those questions might feel like to the people living them. The story, titled "Where is Power Pack? ", finds the Power family spread far and wide across the Marvel universe. "This story takes place not long after 'The Return of Power Pack,' the short story by John Allison and Rosi Kämpe featured in Civil War II last year," Grayson explained. "So Julie's at Empire State University, Katie and Jack are still living with their parents at home, and Alex is...well, where is Alex? He was last seen traveling with the Future Foundation, which I believe makes him nearly impossible to reach..."
Grayson is tasked with bringing Power Pack to an audience of new readers that may not be familiar with the team, but also with appealing to old school Power Pack fans. Grayson said Power Pack #63 should have something for everyone to enjoy. "Part of the story is Katie recounting a never-before-seen Power Pack adventure from the past, so new fans will be introduced to the original team through her narrative and old school Power Pack fans will get to see the team as the kids they remember and love, but also as slightly older kids dealing with the realities of their current lives," she explained. "We don't rehash the team's origin, though, so if new fans get as excited about this team as I hope they will, they'll have to go back, which would bring them into contact with those amazing original Louise Simonson and June Brigman issues." Slide 1/2 – Where Is Power Pack? Another aspect of "Where is Power Pack?" 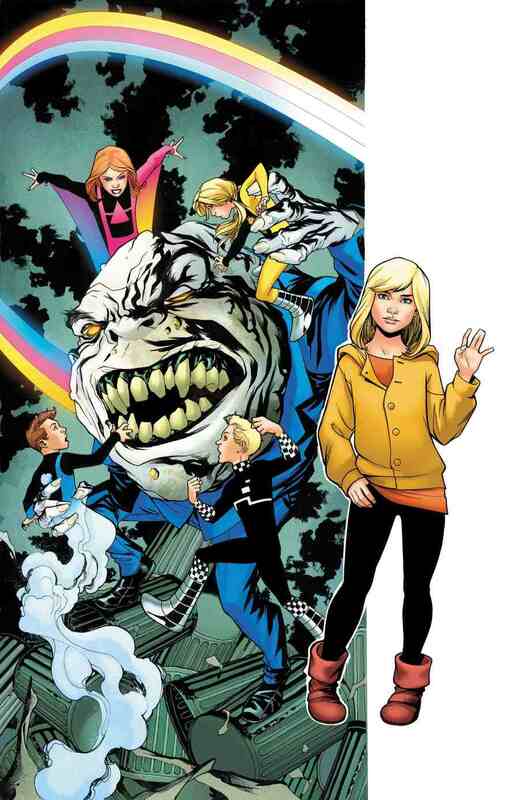 that should appeal to classic Power Pack fans is a returning villain from the team's past. "As you can see from the cover, we're dealing with Dr. James Power's old boss, Mr. Carmody, better known as Bogeyman!" Grayson told us. "He's in a story Katie's telling from the past, though. In the present, the story deals more with Katie's current emotional reality than any external threats to the universe as a whole." 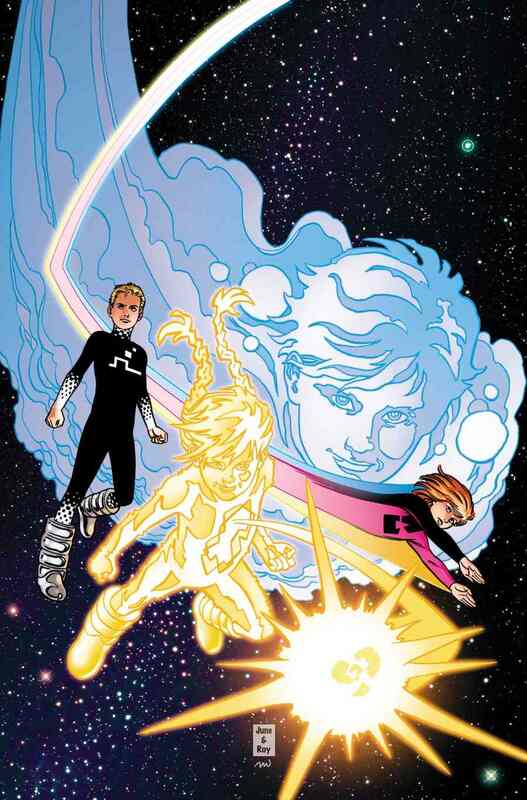 For Cresta, Power Pack #63 represents more than just Power Pack's return, but the artist's Marvel Comics debut. "This is my first job for Marvel and I can not hide my great excitement," Cresta said. "When I met Marvel's talent scout, during the Portfolio Review of Lucca Comics & Games 2016, I never imagined I could collaborate on a project like this! "I am a beginner, and finding myself working with extremely talented people like Devin Grayson is amazing!" she continued. "I know I have a great responsibility to work on Power Pack, I will do everything to not disappoint the expectations of old school Power Pack readers and at the same time to attract a new generation of fans!" As for whether this Power Pack one-shot could lead to something lengthier later in Marvel Legacy, the creative team isn't revealing any secrets just yet. "I'm afraid I can't divulge any information about that yet, but I can say that Marvel hasn’t forgotten about them—they’re very much on people’s minds," they said. "And fans should keep an eye out for a gorgeous variant cover by none other than June Brigman!" Power Pack #63 goes on sale in November. This adventure comes to light as Katie Power revisits family history!